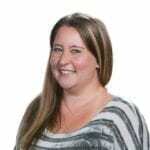 BATTLE GROUND — Battle Ground resident Jennifer Strassel has gotten used to working at some pretty intense jobs over the past several years, including skippering as a fisherman and working as a welder in a shipyard in Ketchikan, Alaska. After all that, she didn’t quite expect to one day be making steel art and owning her own business. However, that’s exactly what the 29-year-old decided to pour her heart and soul into after losing her job in Alaska. 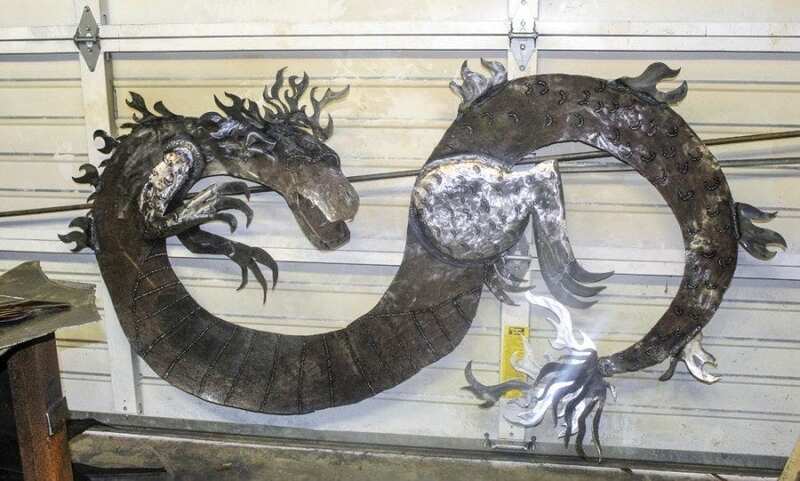 Strassel decided steel art was something she could make into a full-time business, and came up with the name Pirate Metal Works. 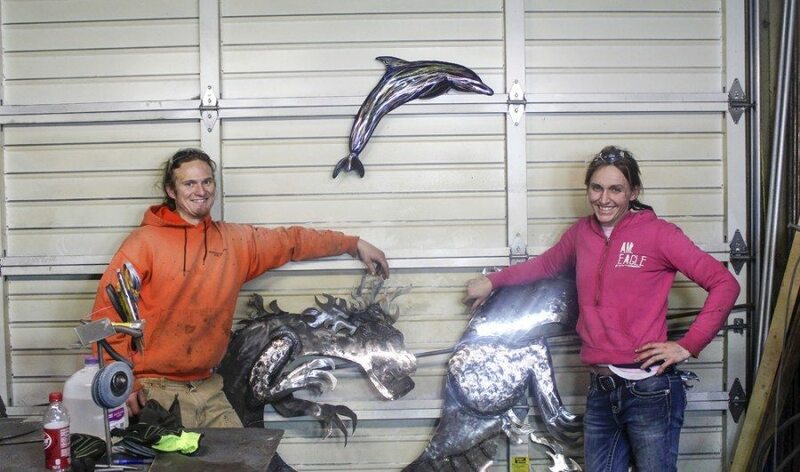 Strassel and Myall have been producing their steel works of art in a small shop space in Battle Ground for about the past month. At the end of January, Pirate Metal Works became an official Limited Liability Company in the state of Washington, something Strassel was ecstatic about. Myall said that when the two first started making some of the steel art before coming to Battle Ground, they were doing the work in a little carport. 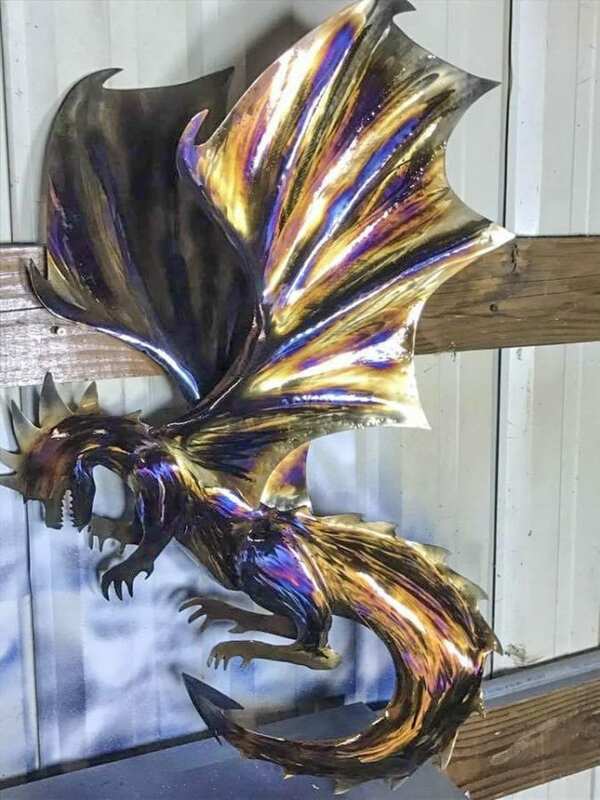 All of the steel art pieces created and put together by Strassel and Myall are hand-cut custom pieces, and Strassel can pretty much craft anything a customer asks for. Customers can use their imagination from concept to finished pieces, colors, animals, signage, wall art, favorite sports team, gifts, etc. 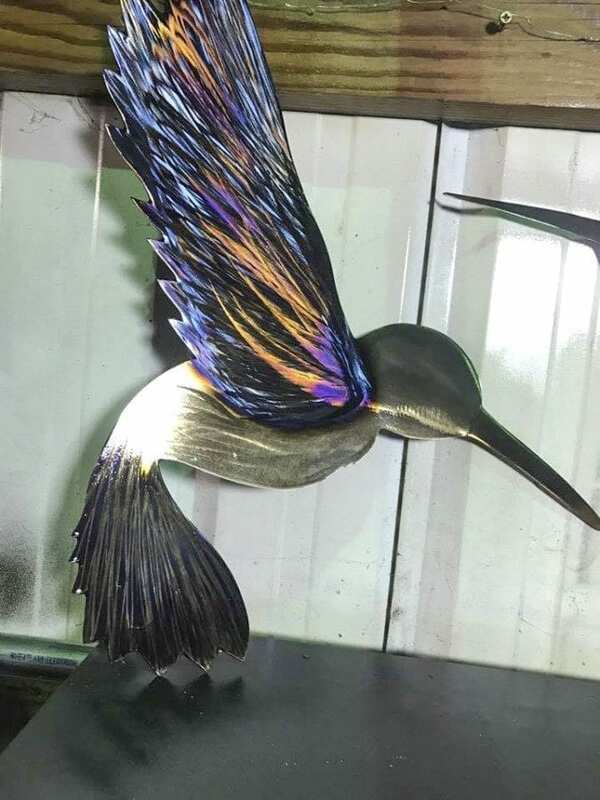 Some pieces created by Pirate Metals Works include dragons, halibut fish, a hummingbird, elephant head, a duck, a San Francisco 49ers logo, a Seattle Seahawks logo and many more. Pirate Metals Works has currently been getting most of its customers by posting on different sale sites such as Etsy among others. The company will also ship finished pieces anywhere; they have had ones shipped back to Alaska, to a casino hotel in Las Vegas and numerous other places around the country. Anyone wishing to talk with Strassel about a potential steel art project can call her at (360) 739-5561. Visit the Pirate Metal Works Facebook page as well, and soon interested customers will be able to visit their website, https://www.piratemetalworks.org/. The website is still currently under construction.